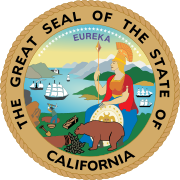 Proposition 76 was a ballot proposition in the state of California in the referendum election. It involves school funding, state spending, and is an initiative constitutional amendment. The provisions creating an additional state spending limit and granting the Governor new power to reduce spending in most program areas would likely reduce expenditures relative to current law. These reductions also could apply to schools and shift costs to other local governments. The new spending limit could result in a smoother pattern of state expenditures over time, especially to the extent that reserves are set aside in good times and available in bad times. The provisions changing school funding formulas would make school and community college funding more subject to annual decisions of state policymakers and less affected by a constitutional funding guarantee. Relative to current law, the measure could result in a change in the mix of state spending—that is, some programs could receive a larger share and others a smaller share of the total budget. The proposition was defeated with a 24.6% margin or about 1 876 383 voters rejecting it. This page was last edited on 15 December 2018, at 18:38 (UTC).